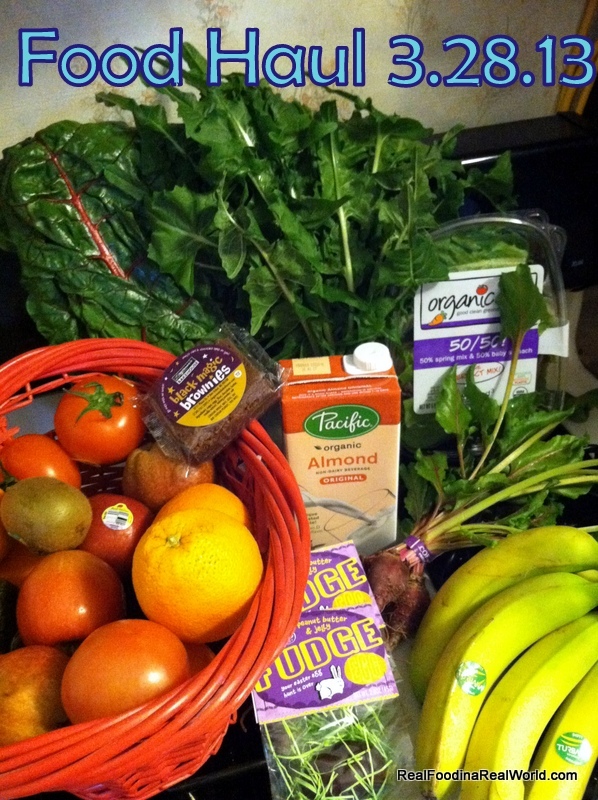 I don’t think I really ever realized how much food we use in a week until I started posting these food hauls. It’s very interesting to take a look and see what we use in a week. This weeks Door to Door Organics boxes were big again. As you can see in the picture above, there is the usual suspects as far as produce, along with some dandelion greens and baby beets. My husband ordered some Easter treats from Zingermans; a brownie and some fudge eggs. 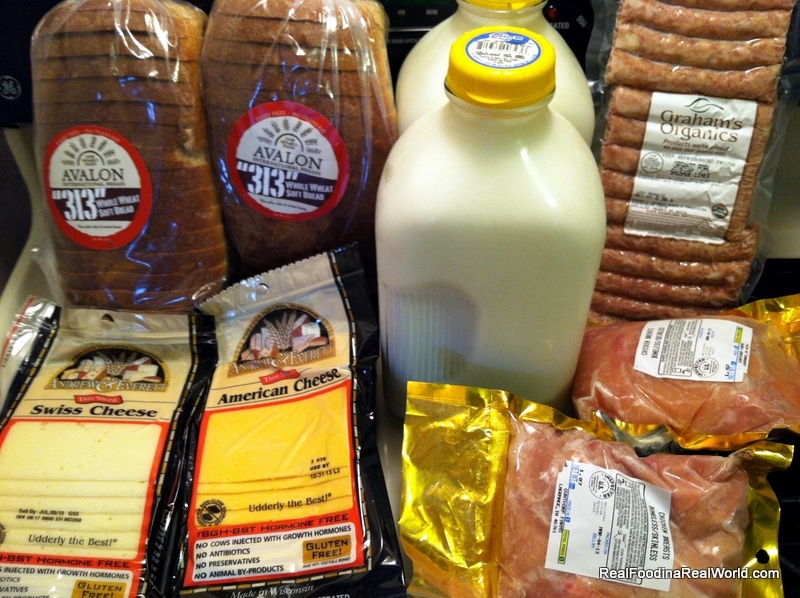 The second box from Door to Door had milk from Calder Dairy, cheese, boneless skinless chicken breasts, some breakfast sausage from Graham’s Organics, and Avalon 313 whole wheat bread. One loaf is for my mom, she babysits for me so I bake and get things in my boxes for her. We went to Pure Pastures (Natural Local Food Express) this week too. Talked to Garry a little bit and found out that he will be at both the Canton Farmers Market and the Dearborn Farmers Markets this season. He also let me know my quarter cow should be ready in a week or two. 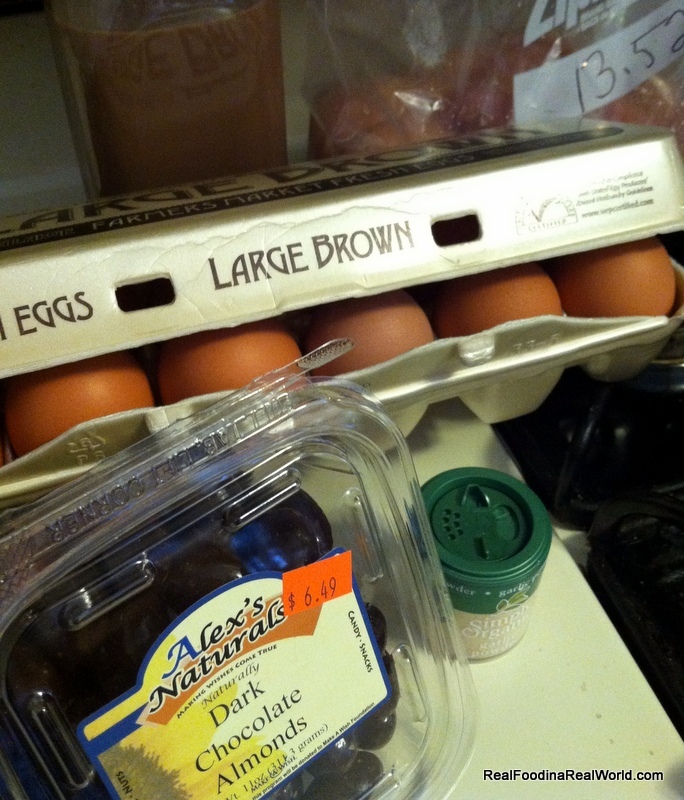 Picked up some necessities from Pure Pastures; free range eggs, garlic powder, chocolate milk from Calder Dairy, free range boneless skinless chicken breasts, and dark chocolate almonds. The almonds are my treat, they are so delicious. I only need two or three to satisfy a craving. 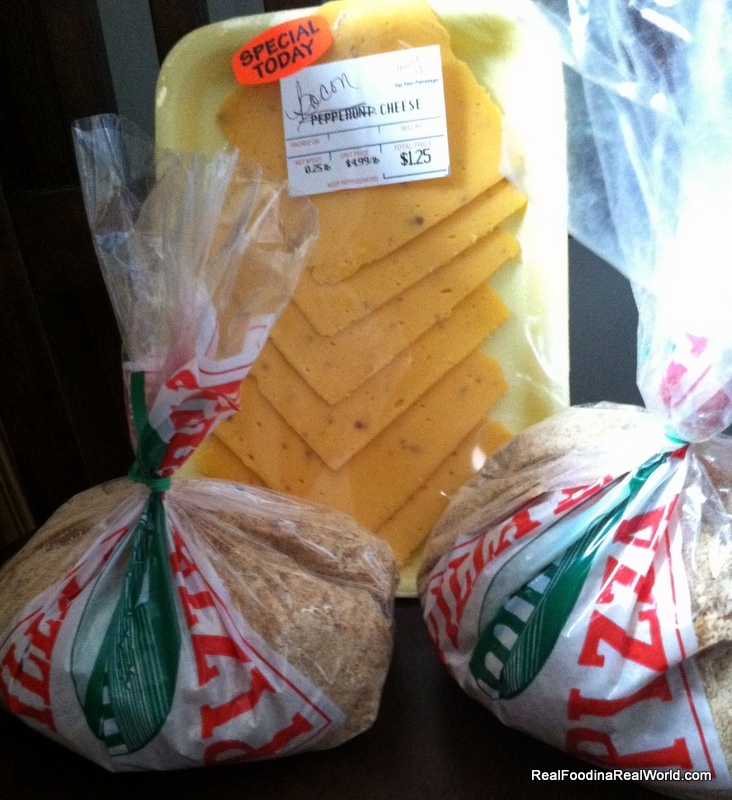 A few random items from a local bakery. They sell bread crumbs for 50 cents a bag and I keep them in my freezer. I bought the bacon cheese for my husband, and made him a grilled cheese sandwich. I think I’m wife of the year right now. This last photo is probably the most random of all our food this week. My husband is a mechanic, and is always checking out cars for people. This person needed him to take a quick look at something. He works in produce and stopped by later that day and handed us a bag with these goodies. 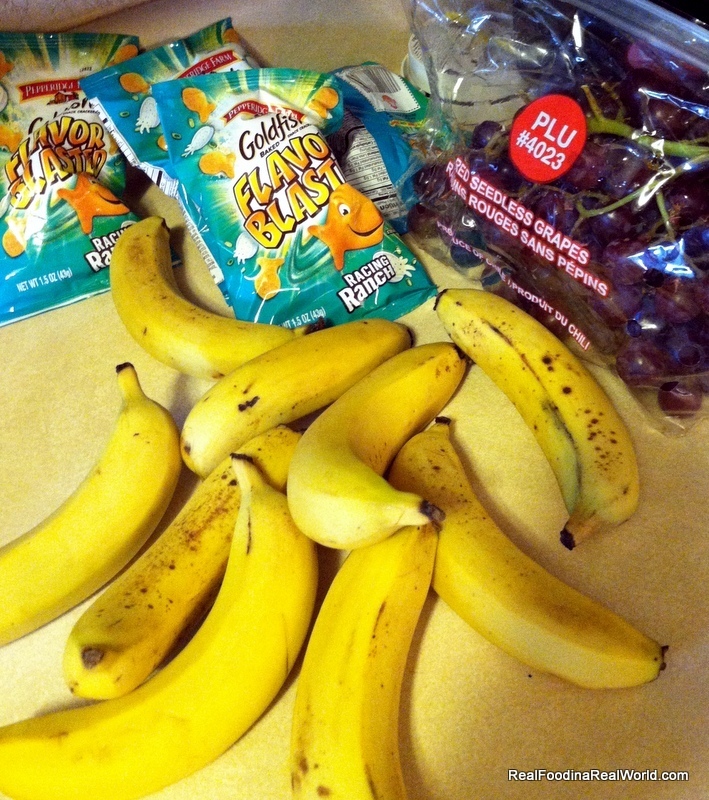 The bananas are already cut and frozen waiting to be made into Green Monsters! Food prices this week? I think we are around $115. It’s a little higher than I would like right now, considering we have a huge beef purchase coming up. But, we purchased almost five pounds of chicken breasts. I’m making chicken nuggets for the freezer. Recipe coming as soon as I finish testing it! Great idea to shoot you weekly caddy! That is a lot of good food for what seems like quite a reasonable price! I need to sit down one day and map it all out for myself to justify the cost..
How did you get into buying a cow? I have heard many people do that but wouldn’t even know where to look or what to expect! Do you have a huge second freezer? It really is reasonable, once I sat down and put pencil to paper to compare pricing and time savings of not grocery shopping it made it easy. They also have an every two weeks option, that might work out for you! I am buying my cow portion through Pure Pastures/Natural Local Food Express. I will do a write up when it arrives with all the details and what the price ends up being. We have a huge deep freezer in our basement, it was the first purchase I made when we bought our house. I freeze so many things!